While lack of security of tenure affects millions of people across the world, women face added risks and deprivations: in Africa and South-Asia especially, women are systematically denied their human rights to access, own, control or inherit land and property. The vast majority of women cannot afford to buy land, and usually can only access land and housing through male relatives, which makes their security of tenure dependent on good marital and family relations. At the same time, millions of women in Asia, Africa and Latin America depend critically on land for a livelihood. Globally, an estimated 41% of women headed households live below the locally defined poverty line and close to one third of the world’s women is homeless or lives in inadequate housing. Exclusion of women from access to land pushes them towards the cities, where they often join the ranks of the increasing number of women headed households in slum areas. In Kenya, for example, where women head 70% of all squatter households, over 25% of women slum dwellers migrated from their rural homes because of land dispossession. Alarming numbers of cases are reported of in-laws having evicted widows upon the death of their husband. A widow is not considered to be part of the clan and is expected to return to her parents and/or fend for herself. The HIV/AIDS pandemic has contributed to an increase in such evictions. In many Sub-Saharan African countries, married women also face eviction from the marital home, when their husband takes a second (or third) wife and cannot afford to support both his wives. Very rarely can a woman in such cases return to her parent’s land. When a man sells the family land and leaves for the city, women and children are often also left landless. All these cases show that the household relationship is not equal to start with. The commercialized tradition of dowry is contributing to this inequality: asked about co-ownership of land between him and his wife, a Ugandan farmer compared his wife with a tractor, which he had paid for. How could she (co-) own property if she herself was (seen as) his property? In addition to increasing vulnerability to evictions, exclusion of women from decisions on the use, control and transfer of land has also led to a decrease in food security and sustainable development. While too many women face forced evictions by their in-laws and domestic violence within the marital home, they are also affected disproportionately by forced evictions, resettlement schemes, slum clearance and development projects carried out by or through state actors. Armed conflicts and resulting displacement, destruction of homes, family structure and communities often leave women more vulnerable. The lack of documentation combined with legal or customary discrimination often block women from accessing their land rights. In cases such as Rwanda, the deprivation of widows after the 1994 genocide led to fierce lobbying for the reform of Rwanda’s civil code, which now allows widows to inherit property. Women headed households and single women have little access to credit and other resources, often because of lack of collateral and/or the assumption that they will be unable to meet financial obligations in the absence of a male partner. In various countries, married women still need the consent of their husband before taking a loan, a requirement that violates international human rights law. So far, women’s land and property rights have remained mainly illusory rather than substantive and the majority of women have therefore not been able to enjoy these rights. The Habitat Agenda, Millennium Development Goals, various Resolutions of the UN Commission on Human Rights and of the UN-Habitat Governing Council, provide the mandate to UN-HABITAT to be on the forefront of efforts to improve women’s land, housing and property rights, including their equal secure tenure. On the basis of ongoing research, UN-HABITAT, together with various governments, and partner organizations at international, regional, national and local level, is working on identifying and developing strategies and tools towards women’s enjoyment of land and property rights. Women’s equal rights to land, housing and property are human rights, recognized in various international human rights instruments. The recent Women’s Rights Protocol to the African Charter on Human and Peoples’ Rights (adopted in July 2003) is a very welcome regional addition to such instruments. Various positive developments have taken place in terms of law and policy reform in many countries, while other countries have not yet taken such steps. In general, a more holistic and inclusive approach is still needed in the reform of laws and policies that links laws related to inheritance and the division of marital property to laws and policies on land, housing, credit and gender. Urban and peri-urban land issues should also be brought within the national land policy and linked to rural land issues. Gender should be a true cross cutting perspective, also included in budgeting. Implementation of such laws and policies remains a huge challenge and require concerted efforts from all levels in order for women’s rights to land and property to become reality. Eleni Tziortzioti was born in 1967 (Trikala, Greece) and graduated from the Faculty of Rural & Surveying Engineering, Polytechnic School of Aristotle University of Thessalonica in 1990. She has been member of the Board (and Financial Director) of the Hellenic Association of Rural & Surveying Engineer (HARSE) since 1997, and has been also member of the Technical Chamber of Greece (TCG), and of the Association of Hellenic Women Engineers. 2003: The first President of the Union of Engineers of the Ministry for the Environment Physical Planning & Public Works. 2004: Member of the delegation of the Union of Engineers of the Hellenic Public Authorities. As a student (in 1998) she visited Helsinki, Finland, and there the Surveying Department of the Municipality of Helsinki. This was a catalytic experience for her as Finish Surveying was very developed especially in using informatics. So she tried hard to become expert of the new technologies and techniques in surveying. After her graduation she worked at the laboratory of Hydraulics of the Faculty of Rural & Surveying Engineering, Polytechnic School of Aristotle University of Thessalonica and after that she joined the Centre of Renewable Energy Sources (CRES) of Greece in Athens at the Small Hydro Section. From 1992 to 1994 she was member of the European Commissions’ Affairs Committee of the Technical Chamber of Greece. For the period 1993 – 1997 she became partner of private companies in construction section and from 1995 she was involved in the implementation of Hellenic Cadastre Project at Lefkada Island. From 1997 she worked as a supervisor engineer, for the Hellenic Railways in construction section and also for the Ktimatologio S.A. in a few HC projects. In 2002 she joined to the Hellenic Ministry for the Environment Physical Planning & Public Works at the Secretariat of Urban Planning. Nowadays she is advisor of the Deputy Minister for the Environment Physical Planning & Public Works and she studies a post-graduate thesis for the Environment. 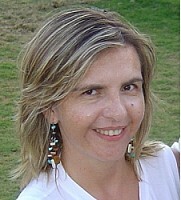 In 1997 that she had her first involvement with FIG at the Com3 Symposium in Thessalonica, representing HARSE and TCG. In 2000 at the Mediterranean Conference in Malta she presented a paper concerning the Hellenic Situation of the Surveying Profession. Since 2001 she has been Greek Delegate to FIG Commission 7. She was member of the Organizing Committee of the Working Week in Athens 2004 and she had a presentation at the Workshop for Under-represented Groups. She believes that with the information from the Network Under-represented Groups in surveying she can encourage young girls to follow the profession and also young women surveyors to succeed more than they think that they can. In her private life she is married to Fotis Dellaportas, a Civil Engineer, and they have a daughter born in 2000. Her free time is full of politics, friends and traveling but first of all she spends her time with her young girl. Latest Eurostat data show that although women are still significantly under-represented in scientific and engineering disciplines, the numbers of female graduates in these fields have increased over the last few years. The new figures on “Women, science and technology: Measuring recent progress towards gender equality" provide continuing evidence of a narrowing of the gender gap for graduates in “hard sciences”, especially in engineering. From 1998-2001, the numbers of graduates in engineering and related subjects increased by 8% to 340,000, but this increase was far more marked for women – 31%. In fact, although women only represent just over 20% of engineering graduates, they accounted for 56.5% of the increase during this period in the EU-15 countries, and for 35.6% in the EU-25. However, this positive trend is not reflected in science and engineering employment where the current 69% share of men is set to increase even further. From 1998 to 2001, a growing number of women and men graduated in science, maths and computing (+25.2%) as well as in engineering (+8.3%). Although women only account for 20% of PhD graduates in engineering, their number is growing rapidly. In 2001 alone, Europe’s employment market gained some 84,000 newly-qualified women engineers, compared to 380,000 male graduates. What prospects for these highly-qualified women? According to current trends, women are more likely than men to opt for non-research occupations after graduation. The surge of women engineers does not seem to be having any impact upon their representation in scientific and engineering jobs where the gender gap is actually widening. In these fields the number of men increased by 4.9% from 1998 to 2002, whereas the increase was only 4.2% for women, who are already a minority (31%). In R&D employment, women account for a greater proportion of technician jobs than they do for research posts. Furthermore, there is an emerging pattern whereby women tend to be concentrated in poorly-funded areas and most men researchers in the better-funded areas. This has an adverse impact on transparency and democracy in Europe’s scientific governance and the required infrastructure changes to meet the Lisbon objectives to turn Europe into the most competitive knowledge-based economy in the world.